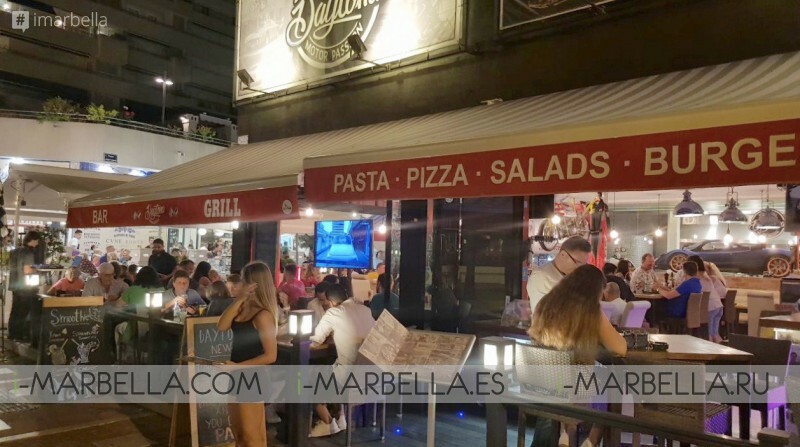 Daytona Motor Passion Bar and Grill is one of the newest places in Marbella located right in the center of Puerto Banús famous for combining great food with motor passionate people - July 22, 2018. 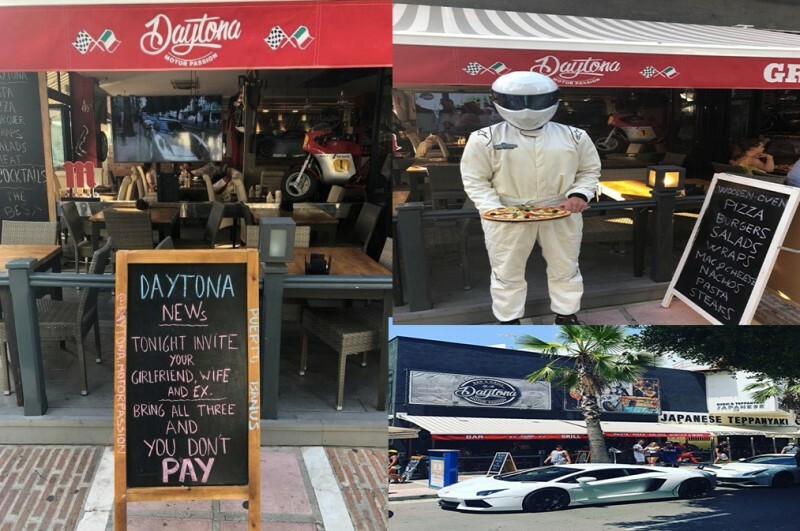 Daytona Motor Passion Bar and Grill is a restaurant that offers amazing America food including hamburgers and Italian cuisine including pizzas, pasta, antipasto and healthy salads. But that's not all! There's also a super Grill and Burger selection for their clients along one their hottest draws. The most eclectic collection of cars and bikes memorabilia from the greats of the 20th century. Located in the heart of Puerto Banus. The restaurant is well known because it combines two great things; passion for food and motors! 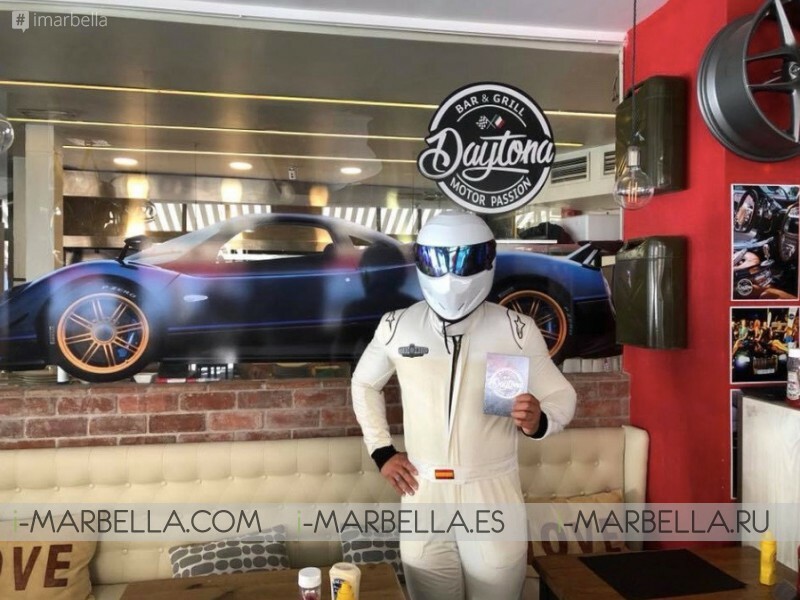 so if you're a big fan of the sport or classic cars and would like to enjoy a tasty meal this might be your best option in all Marbella. Mario Guarnieri who is the owner of the restaurant has recently celebrated a great opening party with a full house and amazing cars. Food photography and social media sharing of dining experiences is a nowadays a hugely popular trend. We know how people love to share images of great looking meals and Daytona is definitely one of them! If you're into motors this place will make you feel right at home with their retro cars and bikes theme. The restaurant counts with a dazzling retro style that combines classic motors passion a good example is a bike that Guido Guarnieri rode which were also favored by the great Steve Mcqueen. Besides all of the motors and food passion, Daytona is opting for a great selection of ads displays, to name but a few examples. 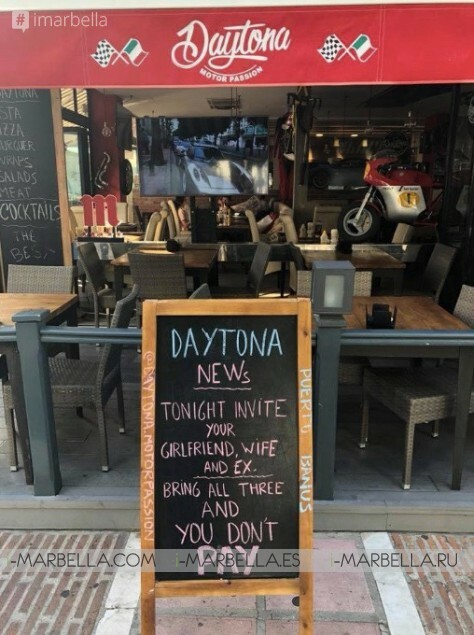 Daytona creative ads are indeed eye-catching! Such a funny way to entice a hungry customer to give it a try isn't it? 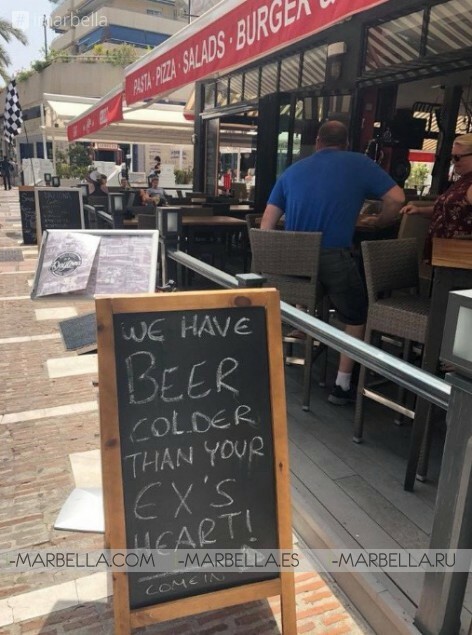 The funniest restaurant chalkboards to entice hungry pals are here! A very attracting mouth-watering image right? Daytona pizzas are unmatched by conventional oven-made pizzas. 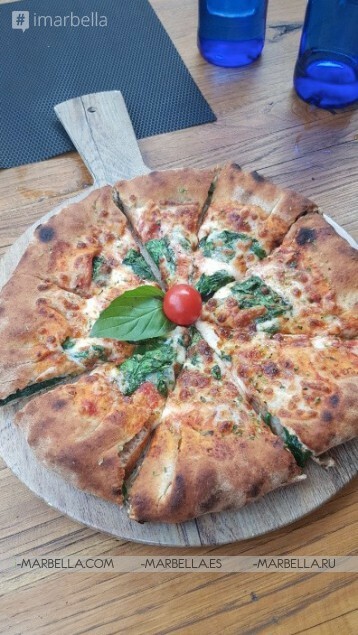 The quick and perfectly cooked results not only leaves the dough with the slightly smoky flavor but present the consumer with crisped toppings and an evenly baked slice of an authentic oven pizza. The number one venue for a great dining experience together with amazing cars is waiting for you!